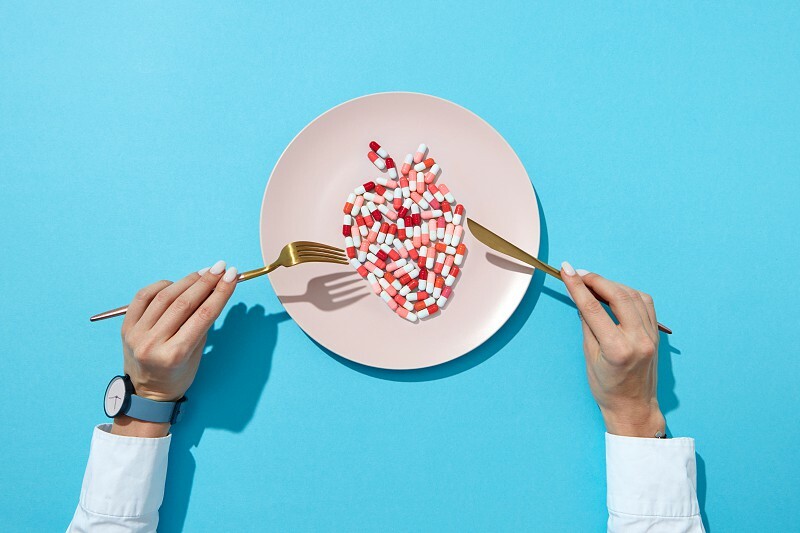 Fish from colorful pills and tablets on a white plate, girl's hands with watch on a blue background with shadows, copy space. The negative effect of pills on cardiovascular diseases. Top view.